Silence is based on the classic novel by Shusaku Endo, this epic drama tells the story of two devout and reverent young Jesuit priests, Father Rodrigues (Andrew Garfield) and Father Garrpe (Adam Driver). 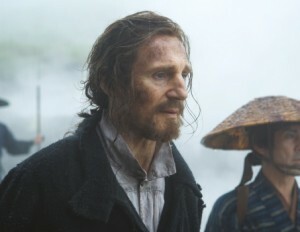 In the early 17th century they risk violence and persecution as they journey to Japan in search of their mentor, Father Ferreira (Liam Neeson), who travelled to Japan many years before and has now gone missing. Upon arrival in Japan, the two young priests discover a country in which Catholicism has been banned and where the new government is systematically eradicating any followers of the Christian faith; circumstances which test their beliefs to the limit as they search for the mysterious Father Ferreira. The film was released in UK cinemas in January 2017 and will be released on DVD in April 2017. Damaris Media has produced free resources to help young people discuss the themes coming out of the movie focusing on ‘Hearing God’s voice’ and ‘Hearing God’s people’. There are activities and discussions suitable for use both before and after watching the movie.